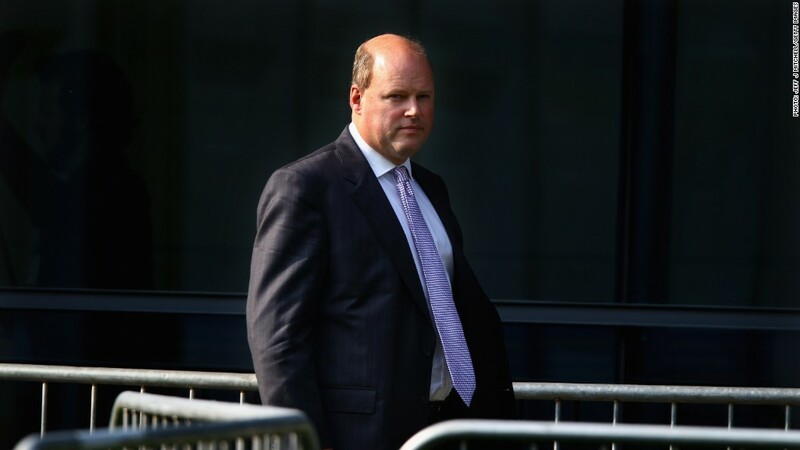 CEO Stephen Hester will be leaving the bank at the end of the year. Investors had been expecting him to lead RBS through the sale of the U.K. government's 80% stake. Shares in the Royal Bank of Scotland dropped sharply Thursday after the bank announced its widely respected CEO, Stephen Hester, would be leaving at the end of the year. A successor has not yet been named, unnerving investors who had expected that Hester would lead the bank through privatization as the U.K. government sells down its 80% stake. RBS (RBS) shares fell by as much as 8% before recovering slightly to stand 4% below the previous day's closing price. The surprise announcement comes five years after Hester was parachuted into the CEO post following the U.K. government's £45 billion rescue of the ailing giant. Hester helped get the bank back on its feet with a major restructuring that included asset sales and shedding over £900 billion in assets. It has been preparing for a return to private ownership before national elections due in 2015. Questions abound over whether Hester wanted to leave or whether he was pushed. Hester had said many times that he wanted to stay on as the bank moved towards privatization. But in a video posted on RBS' website, Hester said it was time for a "fresh face" to run the bank, at one time the world's largest by assets. Hester said that he wanted to stay even though it was a "bruising and difficult job," but he understood that it was appropriate for someone else to oversee the re-privatization and lead the bank into the future. Some observers were not convinced, and said his departure smacked of political interference. "Despite much progress, the board looks to have been under government pressure to move from recovery phase to the re-privatization," said London-based Mike van Dulken, head of research at Accendo Markets. The government denied ousting Hester. "These are decisions that are made rightly by RBS' board," junior Treasury minister Sajid Javid told parliament. Hester will leave the bank with a £1.6 million ($2.5 million) pay package, but no bonus for 2013. He will also receive additional perks worth roughly £3 million as part of a long-term incentive plan.